During the last academic year, “Ivan Vazov” Secondary school, Sopot, won its sixth European project funded by Erasmus + from the European Commission. Since the school has been working for Erasmus + for 10 years on topics such as cultural diversity, European values ​​and environmental protection, this time the project is called "Healthy Life is a Happy Life" and aims to teach students at “Ivan Vazov " Secondary school, Sopot positive attitude towards proper nutrition, sports, hygiene, health, etc. For this purpose, the school organizes various interesting activities - workshops, sports games, presentations, lectures on healthy lifestyles.The children prepared special herbal oils, climbed at the foot of the highest peaks of the beautiful Pyrenees, swam with kayaks in a mountain lake, explored a dark cave, took part in sports games. And most of all, they created friendships with their new friends from Europe. 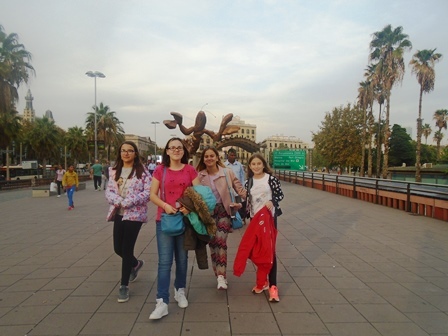 Exciting was the visit of the jewel and the capital city of Catalunya, Barcelona, ​​where they visited the huge sports facility Camp Nou, the Aquarium, the Sagrada Familia and the Gueel Park. 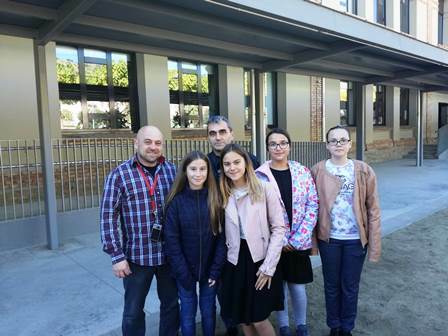 From 21 to 28 October 2018 the students from “Ivan Vazov”Secondary school, Sopot- Nia Novakova, Paloma Murdjeva, Yanna Lucheva and Diana Todorova, together with Mr. Nelijan Nedkov - Director and Mr. Ilia Petkov, Project Coordinator, visited the charming town of La Pobla de Sigur, located in the Pyrenees Mountains in Catalonia, Spain. There, at the Raers local school, pupils from six European countries participated in interesting and adventurous events related to the healthy lifestyle. The children prepared special herbal oils, climbed at the foot of the highest peaks of the beautiful Pyrenees, swam with kayaks in a mountain lake, explored a dark cave, took part in sports games.And most of all, they created friendships with their new friends from Europe. 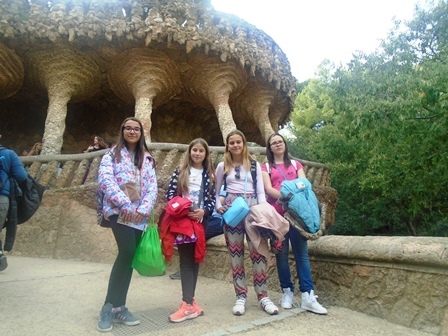 Exciting was the visit of the jewel and the capital city of Catalunya, Barcelona, ​​where they visited the huge sports facility Camp Nou, the Aquarium, the Sagrada Familia and the Gueel Park. For his next Erasmus + Mobility Mobility project "Healthy Life is a Happy Life" to be held next April in Poland, students from “Ivan Vazov”Sopot will prepare a short film about their hometown and sports and adventure opportunities , which he provides. And at the end of May, the school will host the next meeting of the project partners. 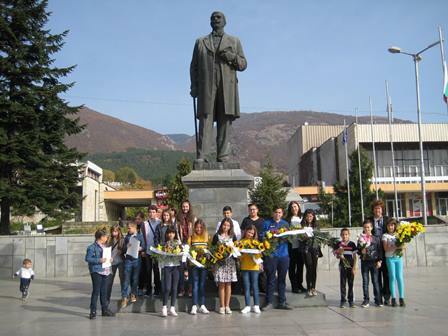 "Ivan Vazov" Secondary school - Sopot joined the fourth stage of the National Week of Reading, organized by the Ministry of Education and Science. From October 22nd to 26th 2018 pupils, teachers, parents and many others collaborated to implement the program activities set out in the Action Plan to Implement a Strategy to Promote and Improve Literacy in the 2018-2019 academic year. 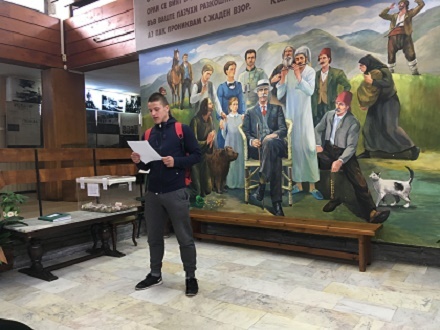 In the school library, classrooms and the House museum "Ivan Vazov" were realized creative initiatives: Reading Marathon, Poetic Matin, Reading: Happy Prince, Oscar Wilde - Happy Prince. We read together with students from “Lyuben Karavelov” Primary School - Popovo, with the children's encyclopedias on the way of information literacy, read with the children from "Fairy World", Fairytale Theater, "Know the Bulgarian language" competition. The week passed under the motto "Reading is a friendship".